Join our upcoming Meetup from STARTUP AUTOBAHN powered by Plug And Play. Meet the founders to gain deep insights into their innovative technologies and find out if there are more possibilities for collaboration. 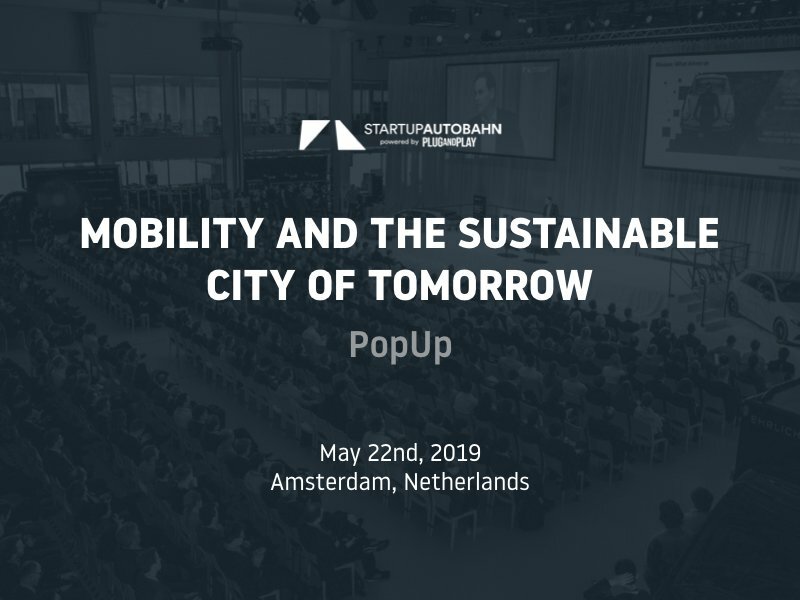 This Meetup will be all about the topic “Mobility and the Sustainable City of Tomorrow” and hosted by our partner Murata and AMS-institute. STARTUP AUTOBAHN Events are just invite only but open to all interested groups of people. You can apply for your ticket at the “registration” button or get in touch with our Program Manager Hannah: hannah@pnptc.com. Selected guests will be around including our 25 partners: Daimler, ARENA2036, University of Stuttgart, Hewlett Packard Enterprise, DXC Technology, ZF Friedrichshafen, BASF, Porsche, Deutsche Post DHL Group, Webasto, Rolls-Royce Power Systems, Samvardhana Motherson, T-Systems, Murata, HELLA, BENTELER, The Linde Group, AGC Glass Europe, Wieland Ventures, Jardine Matheson Limited, Covéa, Cepsa, Bleistahl, BP, Hyundai, TÜV Rheinland and Yanfeng Automotive Interiors. We look forward to welcoming you on May 22nd!